Anafi in the Cyclades is truly one of Greece's travel secrets. Its nearest neighbour is the island of Santorini, which is about a 2-hour ferry ride away to the west, while Athens is about 155 nautical miles away. The permanent population is only a few hundred, but this is swollen in summer by those lucky travelers who have already uncovered the secret. There are no direct flights to Anafi. 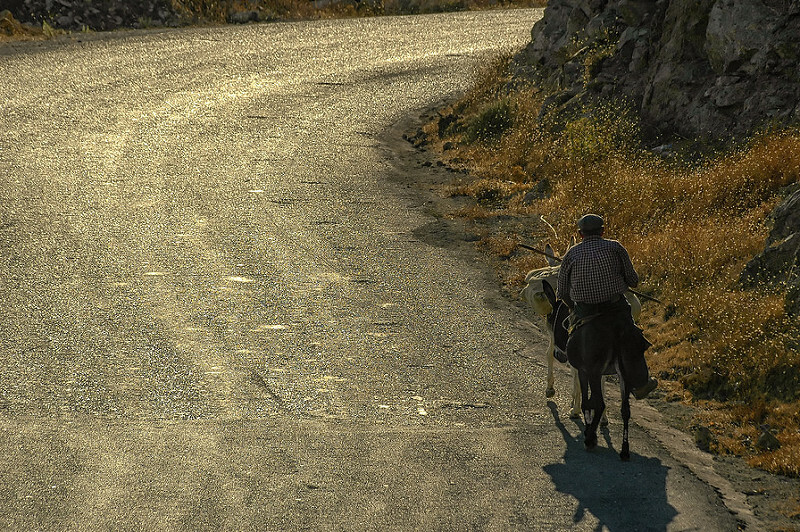 The best way to get there is to book a flight to nearby Santorini and take a ferry from there. Anafi is the end of the line for ferry routes, but in summer there are good connections with other islands. 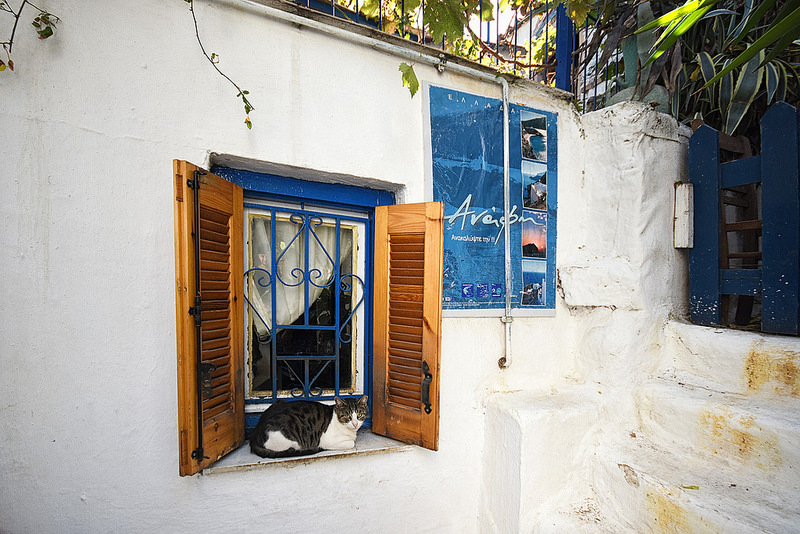 These include Paros, Naxos, Santorini, Mykonos and Ios. There are also ferries to Piraeus, the port of Athens, several times a week, and these call at many of the other Cyclades islands on the way. 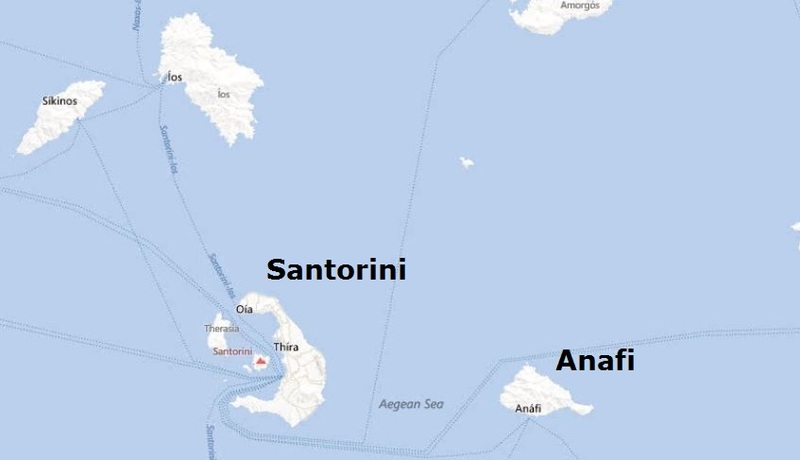 The ferries to Santorini are almost every day, but there are no ferry connections eastward to any of the Dodecanese islands, or south to Crete. There are a few rooms to rent at the harbour, if that's where you want to stay, though there's nothing much else there. Most accommodation is inland and uphill at the main town of Hora, or Chora, where there are plenty of apartments, studios, rooms, or villas. East of the port is the beach at Kleisidi, where there are more rooms and a few places to eat. You can walk there from Hora or the port, or take the island bus which goes a few times a day. There are places to eat at the harbour, and a wider choice in Hora, with a few more cafe/taverna choices at Kleisidi. Expect simple but good value typical Greek family places, the kind that make eating out in Greece such a pleasure. Gourmet cuisine, no. Fresh fish and hearty salads – yes, and delicious! Anafi is a rugged rather than a pretty island, but it's a fair size with most of the population gathered in a handful of places. Otherwise there are farms and little communities here and there, and the rest of the island is great for hiking and for finding lovely sandy beaches, some of them in quiet coves. Footpaths criss-cross the island, and there are some monasteries to walk to as well. The highest peak is Mount Kalamos, which is an impressive 584m/1,916ft. 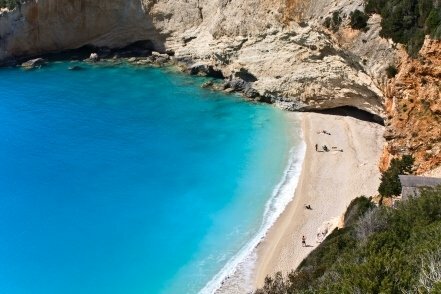 For more information about Anafi, visit the island's own very helpful official website: www.anafi.gr.